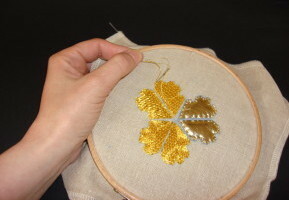 Appliqué means attaching or applying a shape in one fabric to a background of another fabric. 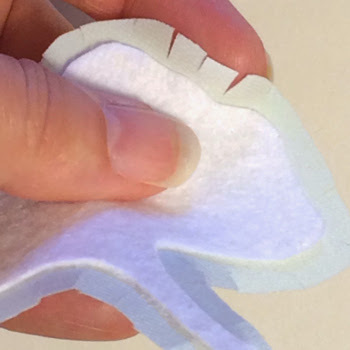 There are lots of different ways of doing this, including the use of iron-on adhesive interfacings such as Bondaweb, but in this tips article we’ll look at hand-stitched appliqué shapes padded with felt. 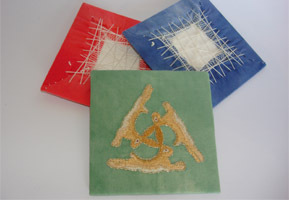 Padded appliqué can give an interesting quilted effect to an embroidery when used on a larger scale, or is a good way of controlling small pieces of applied fabrics. 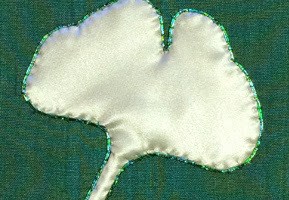 If several layers of felt are used, it can be used to build up shapes, and so is related to stumpwork. You may want to transfer your design to your background fabric in advance. 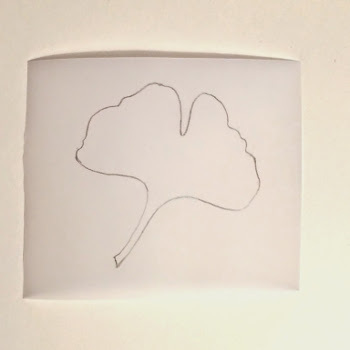 This is especially helpful for positioning when using a lot of small appliqué pieces or when the pieces are odd shapes. 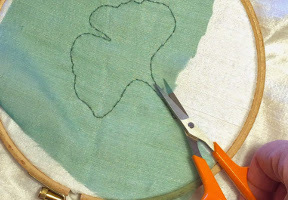 Transfer the design to your background fabric and mount it in a hoop or frame, using a lining fabric if required. 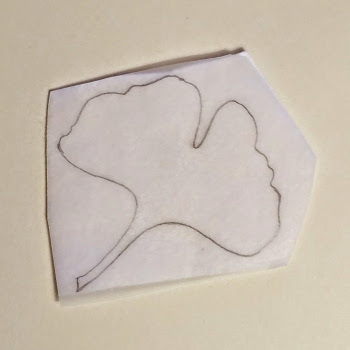 Using tracing paper, trace round the shape on your design to be appliquéd. Cut this out roughly. 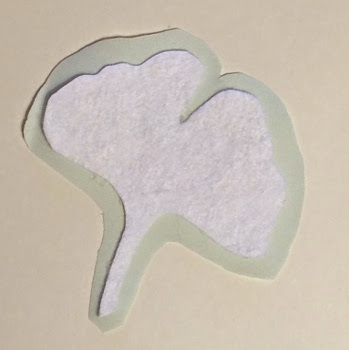 Using pins or spray glue, attach this to the felt, with the wrong side of the paper shape on the right side of the felt. Remember to use spray glue very sparingly as it can stain the fabric. 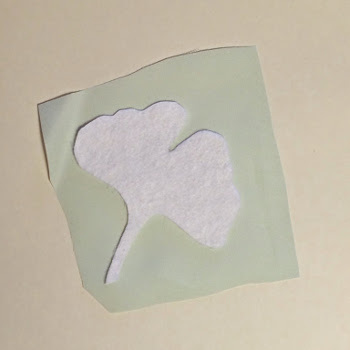 Carefully cut out the shape, and remove the paper. 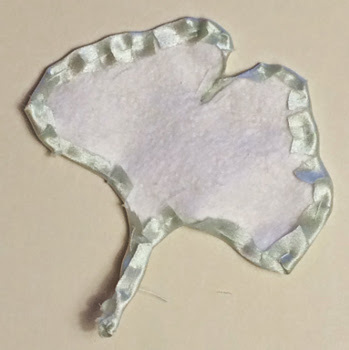 Using pins or spray glue, attach the felt shape to the fabric to be appliquéd; remember to stick the right side of the felt to the wrong side of the fabric. 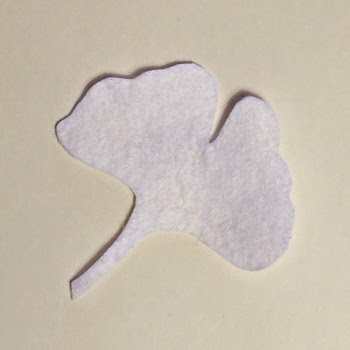 Cut out the shape from the fabric by cutting round the felt shape, remembering to leave a ¼” (0.5 cm) margin all round. Carefully snip the fabric round the felt shape. 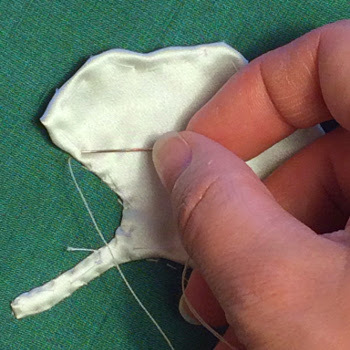 Turn the snipped margin under the felt and tack down. Start and finish the tacking stitches on the top of the shape. 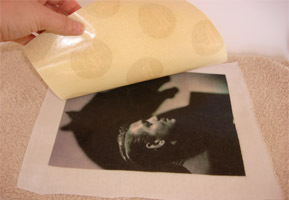 Position the shape on the backing fabric; you may want to use pins or spray glue to keep it in place. Catch down the shape with small stitches all round. Although many embroiderers hate the thought of using glue in their work, a light spray glue specifically designed for use with fabrics, such as 505, can be very useful. 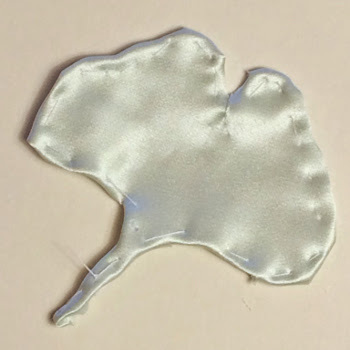 Pins can be used to keep the felt and appliqué fabric, or the shape and backing fabric, in place if the appliquéd shape is quite large, but can cause more problems than they solve with small, fiddly or complex shapes. Spray glue can keep small pieces in position without distortion much better. Always use as little of it as possible, though, to minimise any risk of staining. When snipping the fabric in order to turn it under the felt shape, use more snips at curved sections than straight ones. This gives a smoother line. Each snip should go from the edge of the fabric margin to not quite up to the felt to reduce the risk of fraying on the finished piece. Each snip should also be approximately at right-angles to the felt at that point. 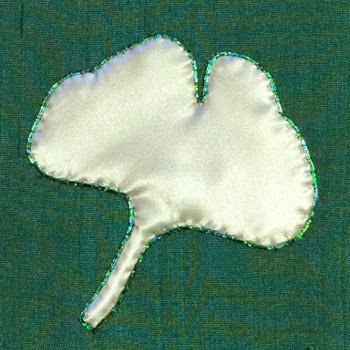 For simple shapes such as circles, an alternative to snipping the fabric is to sew a row of running stitches round the edge of the appliqué fabric and using it to form gathers around the underside of the felt. 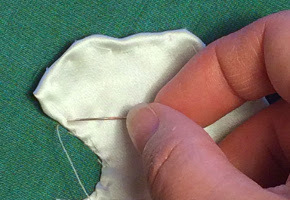 The shape can then be stitched down as before. This much reduces the risk of fraying, but doesn’t work well for complex shapes. 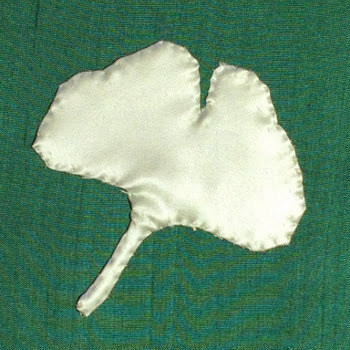 Stitch around the shape – on the background fabric, not the appliquéd shape – to neaten. 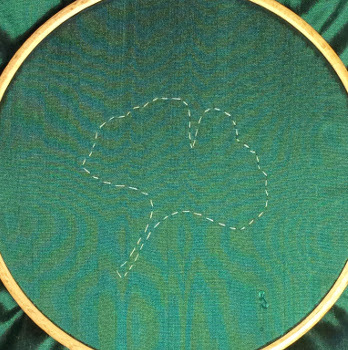 Chain stitch in a metallic thread or a matching or contrasting stranded cotton can work well, as can couching.